This release of Lightroom Classic CC rolls out new features and enhancements such as customization of Develop Panel, Add to Collection option in auto-import settings, Grid Snap option in book module, other enhancements, support for new cameras and lenses, and bug fixes. With this release, you can now drag the Develop module panels in the order you would like to see them in. In the Auto Import settings, you can now use the Add To Collection option to directly pull photos from a watched folder into a specified Collection. The Auto Import feature monitors a watched folder for photos and automatically imports them into the Collection you've set as the destination. After you set up a watched folder and specify a destination Collection in the auto-import settings, you can simply drag photos into the watched folder. Lightroom Classic CC automatically imports those photos in the specified Collection, allowing you to bypass the import window. You can now easily align photos in a Book layout using the Grid Snap option in the Guides section. In Grid Snap, choose either Cells to align the cells of two photos with respect to each other, or Grid to align photos with the grid guide lines. On moving the photo, it would snap into place based on the selected setting. By default, the Grid Snap option is set to Cells. Select Presets under the Preferences panel. In the Visibility section, select/deselect Show Partially Compatible Develop Presets to show/hide partially compatible develop presets. For detailed information about working with Develop presets, see Work with Develop presets. Photo merge: Requirements for merge operations that could have led to merging failures in earlier versions have now been relaxed. Now you can merge images with differing dimensions, focal lengths, and orientation. Photo merge preview caching: Lightroom Classic now caches the previews generated for Photo Merge operations. This improves performance and provides a better user experience. Single-step HDR-Pano merge: Now you can perform single-step panorama HDR merge using smart previews. For more helpful information on merge operations, see Create Panoramas and HDR Panoramas. Improved sync reliability and stability. Improved performance while doing batch operations such as import, preview generation, DNG conversion, and export. Improved grid scrolling performance on Hi-DPI displays. Improved performance when switching between Develop and Library Loupe. Cancel on exit: With this release, you would see a confirmation dialog on exit so that you can choose to cancel exiting from Lightroom Classic CC. If you select Don’t show again checkbox from the confirmation dialog, you need to reset warning dialogs (Preferences > General > Reset All Warning dialogs) to see the confirmation dialog on exit again. Color Labels for folders: Support has been added for color labels for offline folders. For more helpful information, see Create and manage folders. Support for Photoshop Elements 2019 catalogs: Support has been added for importing Photoshop Elements 2019 catalogs in Lightroom Classic CC. For more helpful information, see Import photos from Photoshop Elements. trungamd and Ziang Juno like this. 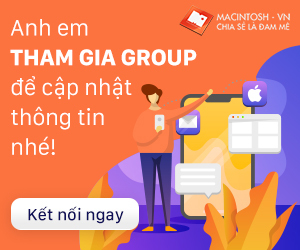 Khi báo lỗi thì bạn nên có thói quen là chỉ ra lỗi để người khác sửa nè.